The Cuban embargo has been in place for half a century, primarily because the Castro regime refused U.S. offers to resume relations and implement favorable trade terms in exchange for the liberalization of Cuban policies towards human rights and political freedom. As a result, the Cuban people have spent decades in abject poverty, oppressed by a man who promised to save them from the dictator Fulgencio Batista, but instead became a more brutal oppressor than the devil they’d known. You might get away with that while arguing for the necessity of diplomatic relations with global behemoths like China (for which former Secretary of State Hillary Clinton once stated that objections to China’s human rights abuses would not be allowed to “interfere” with more important issues like global warming) and Russia, but Cuba has little strategic interest for the United States and an economy that can barely feed its own people, much less be a significant trade partner for America. In other words, there is zero reason for Obama to capitulate to the Castro brothers other than the fact they are his ideological allies, and he wants to. It can be seen as nothing other than an absolute victory for the Castro regime after a half century of being marginalized and isolated by the U.S. Immediately following Obama’s announcement in 2014, Cuban President Raul Castro declared victory over the U.S., and declared that the re-opening of U.S.-Cuban relations did not mean an end to communist rule in Cuba. At a time when the U.S. would have been in a strong position - due to the collapse in oil prices and therefore the Cuban economy - to demand democratic changes from the Castros, Obama demanded nothing and got less. The Castro regime gets the prestige of formal diplomatic relations with the U.S. and an influx of U.S. dollars into the regime’s coffers from American tourists, even as the brutal crackdowns on democratic protestors have increased. 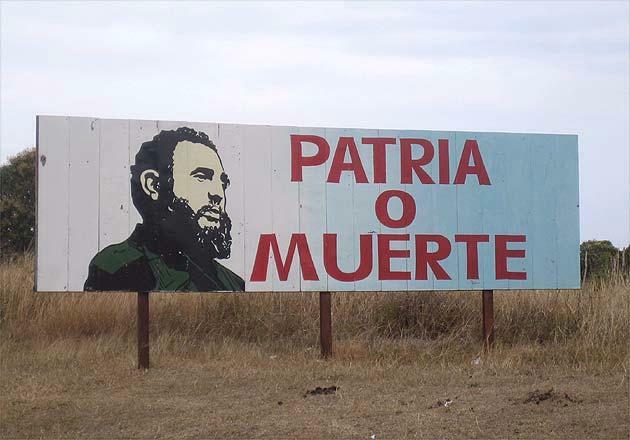 Many pro-Communist liberals have claimed that the ongoing embargo has been a failure because it has not caused the Castro brothers to step down or liberalize their policies, but that is a false standard. The embargo has limited Cuba in its efforts to further export communism to the Americas and financially support other communist regimes. Obama knows he needs the support of Congress, which he assuredly does not have, to formally end the Cuban embargo. However, the White House has indicated that Obama will use a series of executive actions to get around Congress and expand trade relations with Cuba as much as possible (just like he has done to bypass Congress on “global warming”, cap-and-trade, immigration, etc.). In doing so Obama has revealed yet again that his heart lies not with the poor, downtrodden, persecuted and oppressed of the world, but with the oppressors and abusers. It is to America’s lasting shame that we elected such a man not once, but twice.